Waiting for the planting season can be a frustrating time for a gardener. Most planting guides recommend installing plants after all danger of frost has passed, but this could mean waiting until late spring in some areas, which poses a short growing season in some places. The solution, however, is to pick frost resistant plants. 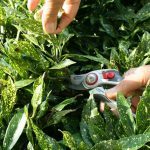 Most evergreen plants, both broadleaf and needle-like, make excellent frost plants. 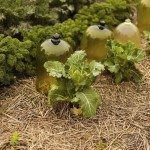 Frost tolerant fall vegetables will extend the growing season, especially with the help of cloches or row covers. Many frost tolerant flowers will enliven the dismal cold season landscape and produce the first hints of color in late winter or earliest spring as well. Resistant plants are indicated by their hardiness rating. This is a number found on the plant tag or in horticultural references as the United States Department of Agriculture (USDA) zone rating. The highest numbers are zones where temperatures are warm to moderate. The lowest numbers are cool season ranges, which are often exposed to freezing temperatures. Frost plants are tolerant of light freezes and can usually withstand such temperatures without serious physical injury. Non-hardy plants and frost can damage tender green tissues or even kill the root system. Of course, there are many others and keep in mind that even frost resistant plants may not be able to withstand an extended freeze. It is best to protect new and recently sprouted plants with a cover or keep them potted and move the pots to shelter when snow and freezing temperatures persist. Mulch is also a useful protectant over early perennial plants to keep them warm and protect new shoots from the sting of icy weather. 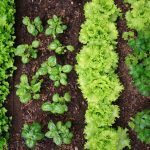 All of these will give you wonderful garden additions to the family table well into the cold season. 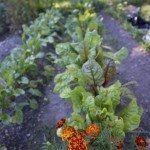 Sow frost tolerant fall vegetables according to the seed packet instructions. Although there are many ways to incorporate frost tolerant flowers in the landscape, position these frost plants in areas where they will receive the maximum winter light, and where drying wind is not a problem.